Cougars are considered prized trophies for sportsmen. 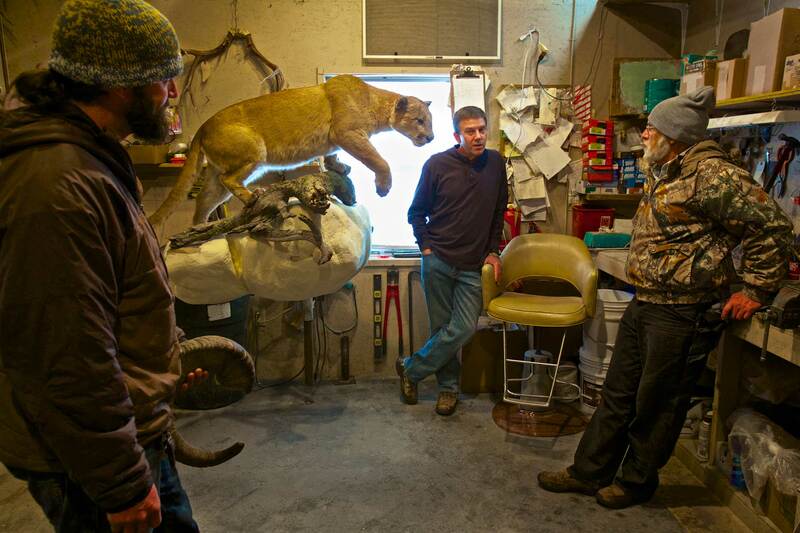 Here, hunters Sean and John Fulton admire the work of Arlin Stratmeyer, taxidermist working out of the Black Hills in South Dakota. Sean shot this cougar during the previous hunting season.